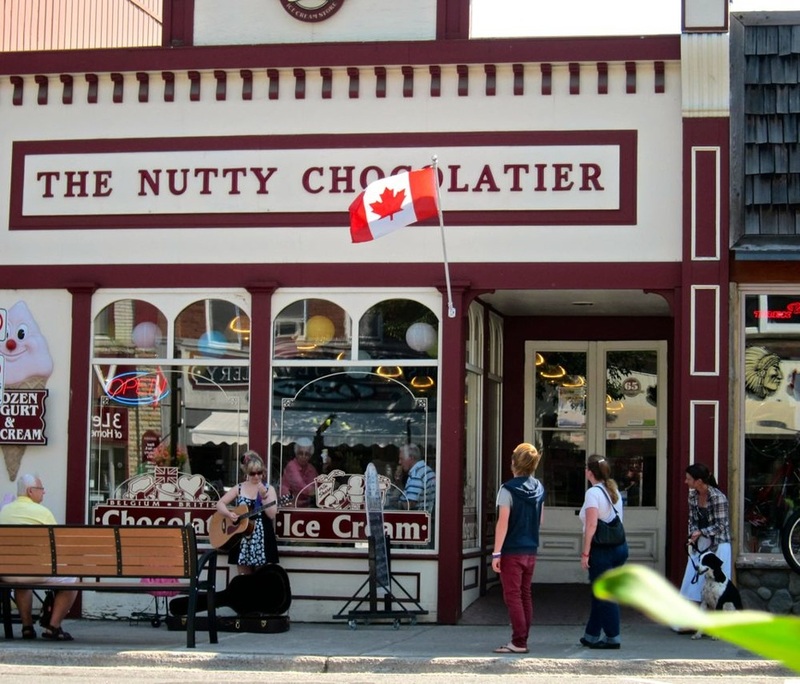 Just two hours from Toronto, Huntsville is one Canada's quaint villages. 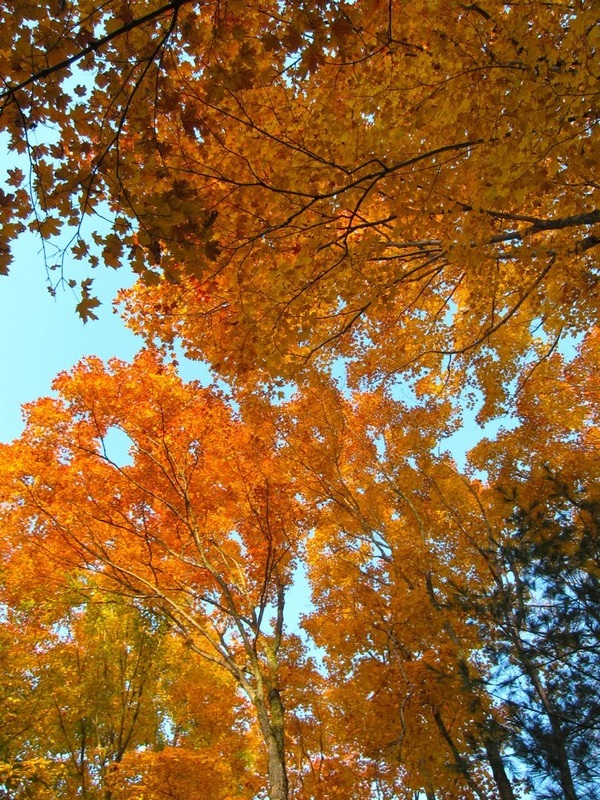 It attract tourists not just in summer but also in the Fall when the trees change colours and display one of the most beautiful painting Nature could offer. Not just in Summer and Fall, but it also offers winter activities like skiing, skating, snow mobiles, fishing and other winter sports. Huntsville in Muskoka popped into world attention when the G-8 was held here in 2010, at Deerhurst, hugging the edges of the town. For this high optics event, Huntsville got a serious sprucing up briefly converting sleepy hollow into a micro bustle. In the past twenty years or so of my going and coming to Huntsville, the area has grown from a simple one street wonder to a hub for the usual peripheral malls and bargain hotels. Still, it retains its resort feel...alive in the summer and quiet in the winter with gasoline prices skyrocketing every weekend and teeth exploding butter tarts launched on unsuspecting tourists from every local kitchen. Today, Hunstville has also become a winter destination with skiing added to its repertoire. More cottagers have now winterized their chalets so are able to come on winter weekends and do snow shoes pratfalls along the roads or the completely incomprehensible sport of ice fishing on the the frozen lakes. Smart ones just enjoy the magic winter wonderland. The Hunstville Festival of the Arts has again surpassed itself in the range of activities they have organized. Each year, a new event is added to the community`s experience of the arts. Of course, the favourites come for a more innovative return. 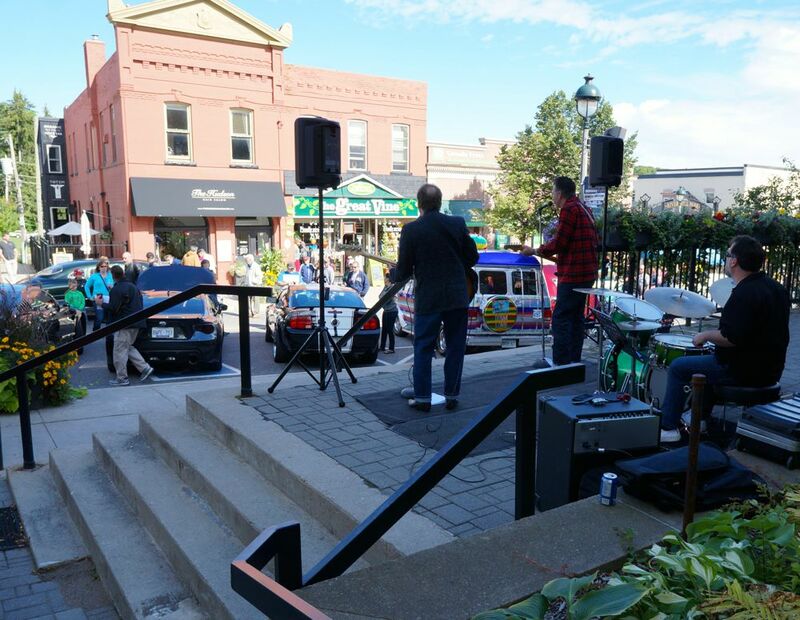 The feature one summer was ``Celebrate the Street`` which included Art Splash (children arts and crafts), Arts Walk (visual art display and demonstration), buskers and street theatre and the inaugural Nuit Blanche North which featured interactive events up to the wee hours of the morning. If you missed this one, be sure you are around for the next event. Remember, the event also raises money to support aspiring artists through scholarships programs. This year's program will channel scholarships to senior students who are pursuing post-secondary studies in music and the performing arts. The summer is over and you still can catch some of the Fall activities. There is Winter to look forward to, as Huntsville is a skiing destination as well. The Theatre features internationally recognized groups, comedians, films as well as locally produced plays all throughout the year. That`s Tom Thompson sitting out front. Frustrated by a collapsed love life, he ran home to Toronto and then Muskoka from Seattle and became an iconic Canadian painter focusing on the nearby Algonquin Park. Huntsville was one of the places where they painted. 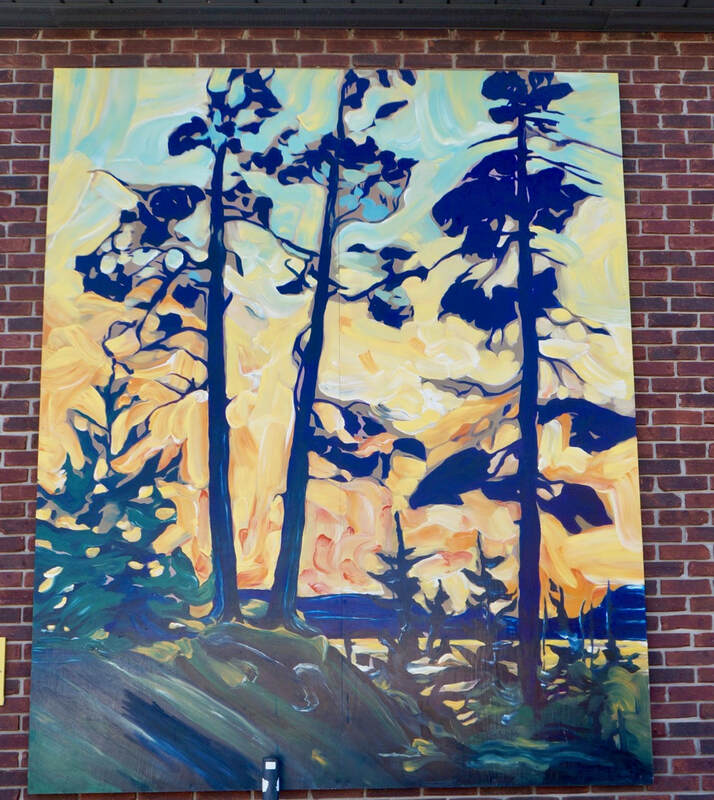 The Canadian artists, the Group of Seven, has strong connection to Huntsville. Journey through time. 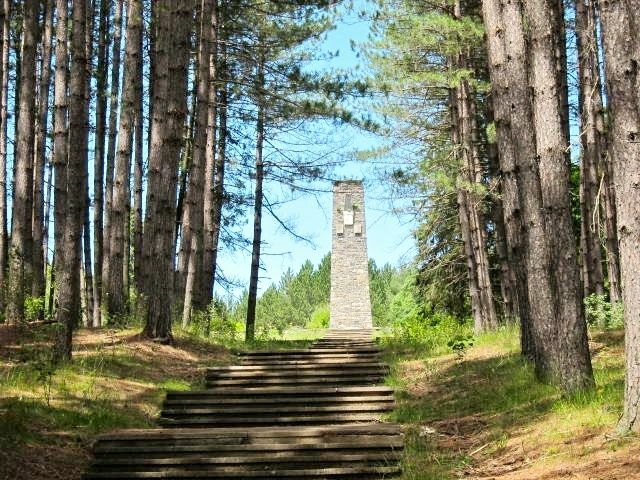 Come and journey through time at the Muskoka Heritage Place. Visit the Muskoka Museum, the Muskoka Pioneer Village and the Portage Flying Train. You can listen to narrators in costumes as you move around the various areas of the village. You can also take a train ride on the Portage Flyer along the Muskoka River. The tradition of the western frontier dominates so much of United States history, but for Canada, our biggest challenge was the North. Huntsville is part of Ontario's cottage country, the Muskokas. Muskoka is the playground of Toronto. Huntsville is one of the centers to which many cottagers go to shop or just to have some coffee or a stroll in the town. 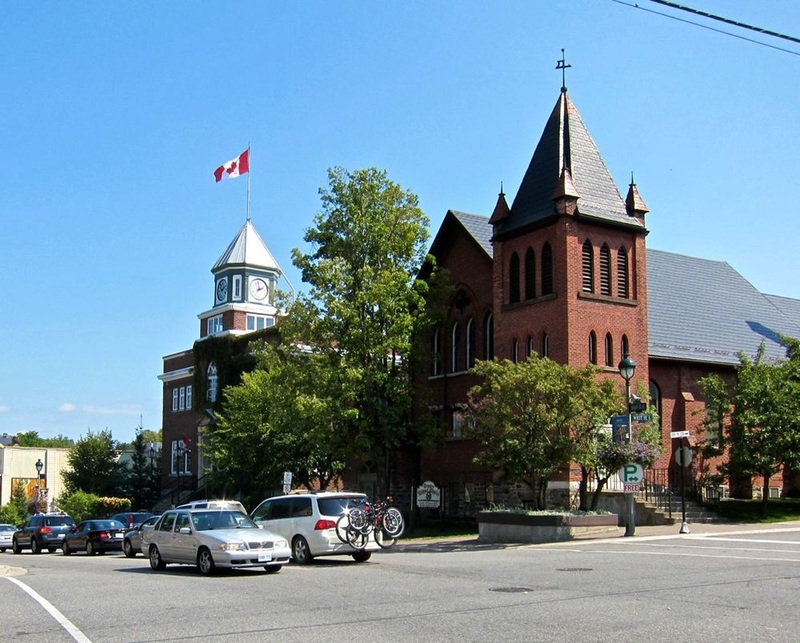 Get to know the Muskoka area. It used to be in the early part of the last century, when you went to Muskoka, the family took the the train, usually from Toronto. Many young kids who are now grandparents reminisce of the time when they came to summer camp in Muskoka waved goodbye to by hugely happy parents from Toronto`s Union Station. The tooting of the train brings beautiful memories for them as they wait there today for their visiting grandchildren. The old duffer sitting in the picture is building up strength for the first onslaught of summer offspring! Unhappily, the train has stopped operating. But there are buses and they're quite comfortable. And stop by the Old Train Station as this is now a museum and you'll see many fine artifacts there. Quite a lesson in history. Right in downtown Huntsville are parks like the Arrowhead or nature reserves like the Dyer Memorial and of course, the lakes and rivers. My favourite is the Big East River where you can kayak or canoe downtown or to Algonquin Park.